When Oklahoma game warden Ryan Walker was called to the scene of a car accident that left two deer dead it seemed that there was nothing he could do. But, he quickly noticed there was one more life to save. Late Saturday night, Walker received a call that a doe and her fawn were hit by a car while attempting to cross a highway in Osage County, Oklahoma, according to a post on the Oklahoma Game Wardens Facebook page. Tragically, the deer had just given birth to her baby by the side of the same road that they fatally crossed. When Walker arrived at the scene, he noticed movement in the deceased doe's stomach. That's when he jumped to action. Walker performed a cesarean section on the dead doe to save her unborn baby. 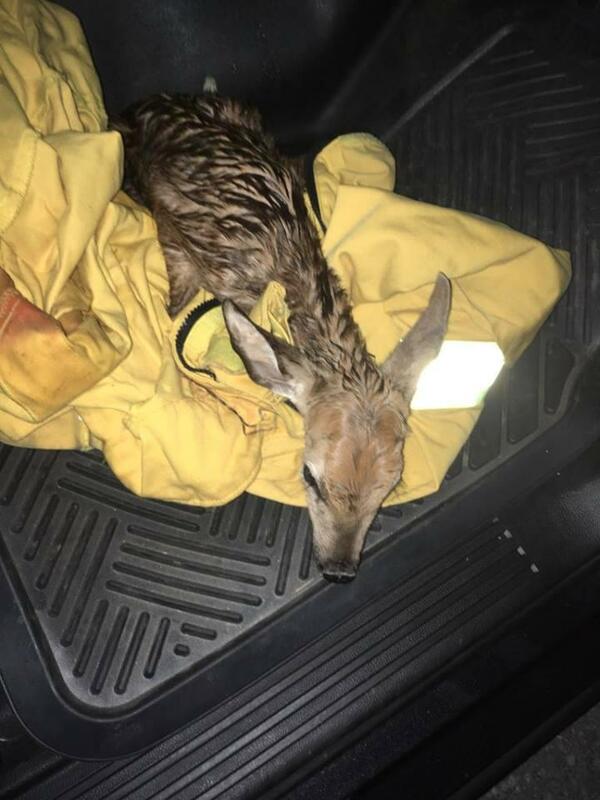 The Oklahoma Game Wardens Facebook page recounted the rescue in a post, stating, "within seconds the newborn fawn was out and breathing on its own." Thankfully, the newborn fawn survived the emergency surgery long enough to be transported by Walker to a local rehabilitation center in the county. As the post stated, the "fawn has a second chance at life" due to the sharp eye of the Warden.